Switch to solar and start saving in the third most expensive state for grid power. New York has both its citizens and government behind solar. Currently, Governor Cuomo is running a billion-dollar program that will force companies to source 50 percent of energy from renewable resources by 2030.The state is also working to install enough solar panels to power nearly half a million homes by 2023. Since New York has over 8,000 people working at 650+ solar companies, it’s clear to see the sustainable direction in which the state is moving. And with this kind of support, people in New York have a unique opportunity to save on solar while also saving the planet. New York is the 24th most expensive state for electricity—costing an average of $106 per month—and it’s right on par with the national average. Kilowatt prices for electricity are also the third priciest, at a little over 17 cents per kilowatt. The good news here is that New Yorkers have ample room to save with solar. Photovoltaic cell prices have dropped 66 percent since 2010, and solar itself only costs three to nine cents per kilowatt. While you won’t be able to know exactly how much solar can save you until you call for a quote, you can use our cost calculator to get started. The federal government likes solar. To incentivize homeowners to install more of it, the government offers a 30 percent tax credit if you buy or own your solar unit. This offsets initial costs enormously and is a big positive for why you should buy panels. Unfortunately, people who don’t own panels can’t tap into this incentive. Depending on where you live in New York, you might be able to get rebates and more for your solar unit. Browse the programs in your area that can help you save on solar. When your solar panels produce more energy than your home needs, the power flows back into the grid. If you own your solar panels, the utility companies will pay you for this power through utility credits and rebates. Again, this benefit is mostly for people who own systems, but you can talk to your solar company to see its policy for those who lease, finance, or have a solar PPA. SunPower made waves with its record-setting plane, the Solar Impulse 2, and over 600 patents for solar energy. The company also grabbed headlines for its solar cell technology that produces 55 percent more energy than traditional panels. What does all that mean for you? You can get more for less and don’t have to worry about bulky solar panels on your rooftop. Sunrun’s 20 percent energy savings is a big incentive for homeowners. So is the fact that Sunrun offers solar PPAs, leases, financing, and buy-out options to maintain flexibility for homeowners with different financial needs. If this sounds good to you, you can join the 80,000 customers who are saving money on energy with Sunrun and raving about it on Angie’s List. Vivint Solar got its start in 2011. Its parent company, Vivint, began in the home automation and security industries, and added on this energy division to give homeowners more convenience, efficiency, and money-saving solutions. Now, you can go solar with Vivint Solar and save 10–30 percent on utility bills. Plus, you can enjoy flexibility by choosing to lease, finance, buy, or get a solar PPA. 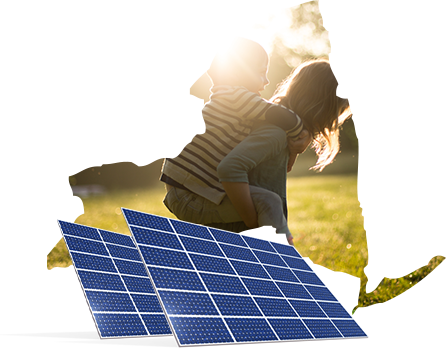 Homeowners in New York can get solar panels from NRG Home Solar for as little as no money down. This is a huge incentive for those who want to go solar, but can’t afford a large upfront cost. While you can’t get a solar PPA from NRG at this time, you can sign a lease, choose to finance, or buy your system outright. No matter what you do, NRG is a great choice that can help you save and positively impact the environment. Governor Cuomo is committed to bringing more solar energy to the state of New York with the SUN Initiative. This program is set to spend one billion dollars on installing three gigawatts of solar energy in the state by 2023, and source 50 percent of all energy from renewable resources by 2030—enough to power 400,000 homes. With backing like this, New York might become the top state for the most solar capacity. New York plans to install 2,910 additional megawatts of solar by 2020. New York has over 650 solar companies that employ 8,250 people. New York invested $733 million to install 242 megawatts of solar capacity in 2015—the seventh most in the nation for the year. As of 2016, The Empire State has 716 megawatts of solar capacity, enough to power over 120,000 homes. 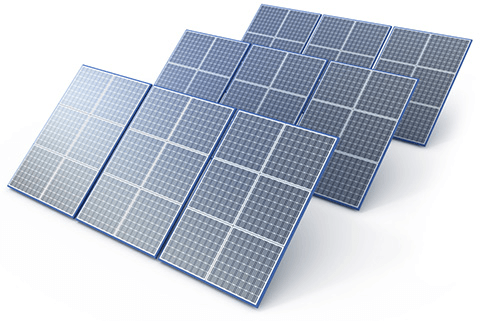 Solar cell prices have dropped 66 percent from 2010. Read about research, energy policies, and more. This organization regulates utility company rates. You can poke around to find out about the latest news and how it can affect your solar costs. Read about legislative agendas, track pending laws, and get in touch with representatives that influence laws surrounding solar. Look up local solar rebates, credits, and money-saving programs. See how energy is used by all of America and how New York compares.